3. 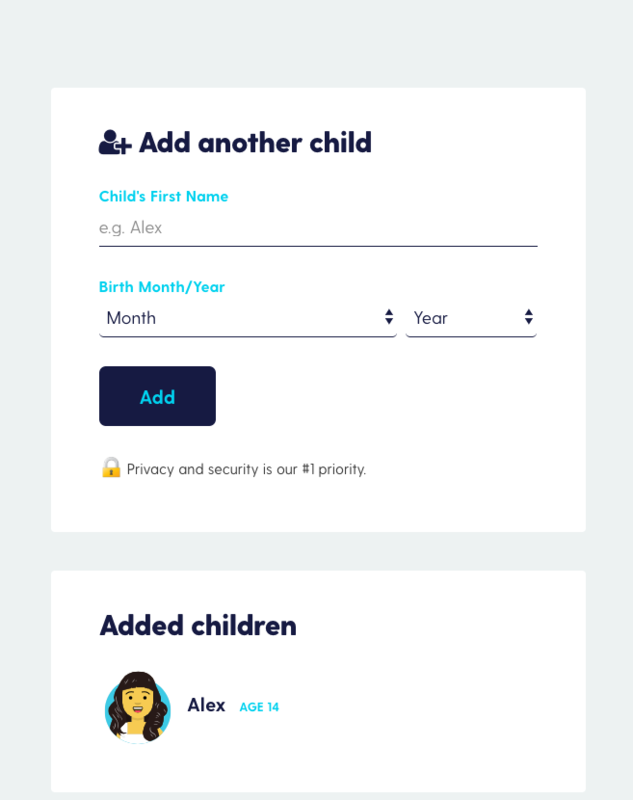 You'll be taken to a new page where you can add information about the child you'd like to add also see which of your children you've already added. After adding all of your children to Bark, you can adjust to the severity level of their alerts within your notifications. Just follow this link to get to instructions on changing the severity of alerts for your children's activities! If you're having any issues with adding more children to your account, don't hesitate to reach out to us at help@bark.us.